Graphene-Info's reports section is the web's most complete resource on graphene reports, researches and market data sheets. Future Market's graphene market report includes quantitative data and forecasts for the global graphene market to 2025. It is based on on interviews with key executives, and also includes end-user market analysis and technology timelines. This report looks at the graphene material market, with an overview of the main applications (both opto and electronics), a detailed analysis of different materials and a market forecast for 2013-2024 (with two scenarios). The report also details the key R&D topics and company profiles of main players. In this report, BCC Research covers the most recent advances in graphene technologies and applications that they believe will be useful to readers. The goal of this report is to survey emerging graphene technologies and applications, identify those that are most likely to achieve significant commercial sales in the next five years to ten years and develop quantitative estimates of potential sales. This graphene market report describes the market trends, drivers, and challenges. it also includes forecasts up to 2023 based on materials, products, devices, applications, and geography. The report considers different materials (PV, electronics), devices (supercapacitors, transistors, spintronics, sensors, ICs & chips, lenses), products (computing, consumer, memory, display) and developments (nanotubes & ribbons, fullerenes). Is Graphene the Next Silicon ... Or Just the Next Carbon Nanotube? This research assesses the leading developers on the Lux Innovation Grid and forecast the future graphene market potential across a range of applications. Lux says that they results reveal that the aggregate graphene market will grow to $126 million in 2020, with graphene nanoplatelets (GNPs) for composites and energy storage applications contributing the bulk of demand. This report analyses graphene's technology, markets and major players in the next 5 years, and gives forecasts foe aach market segment by both value and mass. The report assesses the potential volume production capability, cost structure, and graphene quality for each production technique. 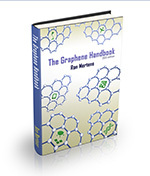 It also details the value proposition of each type of graphene for each target market. The report also includes detailed company profiles with insights into their state of the technology, target markets, assets and business strategy. The goal of this report is to survey emerging graphene technologies and applications, identify those that are most likely to achieve significant commercial sales in the next 5 years to 10 years, and develop quantitative estimates of potential sales. The report tries to identify market drivers and evaluate obstacles to their successful commercialization, and projecting future sales. This report is aimed towards marketing executives, entrepreneurs, investors, venture capitalists, and other readers with a need to know where the emerging graphene market is headed over the next five to 10 years. It is largely nontechnical in nature and coverage. That is, it is concerned less with theory and jargon than with what works, how much of the latter the market is likely to purchase, and at what price. This report has been prepared based on an in-depth study of graphene market with inputs from industry experts. The report covers the Americas and the EMEA and APAC regions. It covers the global market for graphene sheets and films that are expected to replace the use of silicon in the Semiconductor industry. The report analyzes the current Global Graphene market landscape and its growth prospects. It also includes a discussion of the key vendors operating in this market.